Christmas Board “Fill -A-Present” with food! Pictures soon! 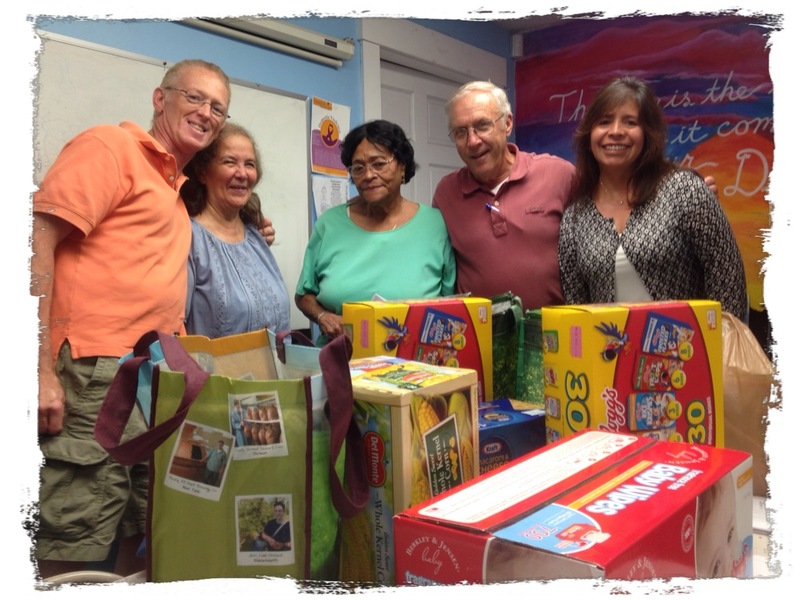 At the September 4, 2014 Spanish American Center Board of Director’s Meeting a donation of food items was made by Board Members for the Spanish Center’s Food Pantry. This was an effort to increase supplies which were depleted as a result of a difficult summer trying to meet the food security needs of our clients. The result – wonderful donations and – a crisis averted for the moment. As a result of this successful effort, the Board has invited (“challenged”) THREE other Leominster area Boards of Directors to join us in the “Food Basket Challenge”. 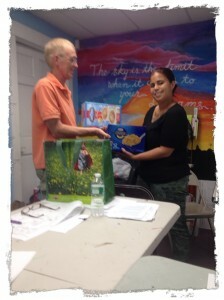 They, in turn, then may challenge three other Leominster Boards, etc. until the challenge has been met – with a fully stocked pantry! Once a Challenged Board has gathered their food items, they are urged to take pictures and forward them to our contact page for inclusion here, in order to fully join us in the spirit of a healthy community and a job well done! SAC Board members JP Boissy, Angelita Santiago, Richard Letart and Yanneth Bermudiez-Camp present food and household products donated to Neddy Latimer, Director, Leominster Spanish American Center.